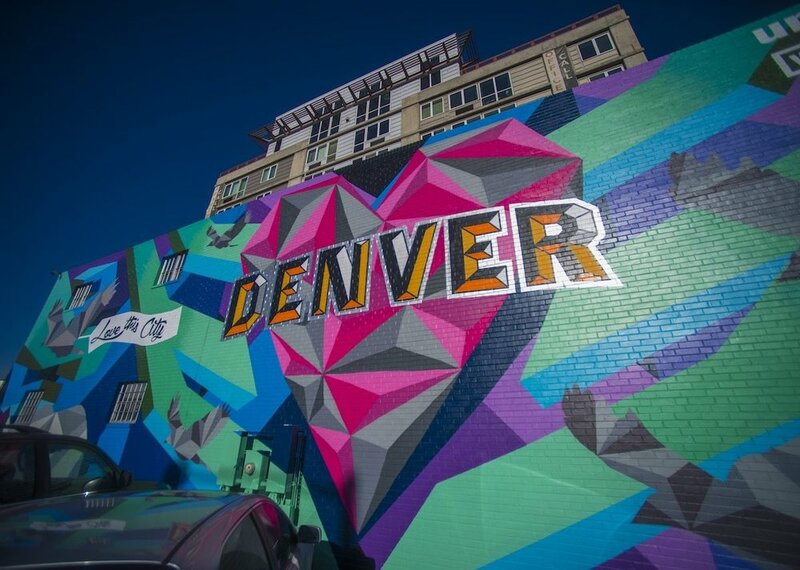 Located just north of downtown Denver, RiNo includes a remarkable concentration of creative businesses, including architects, art galleries, designers, furniture makers, illustrators, painters, media artists, photographers, sculptors and an array of studio spaces. RiNo is "Where Art Is Made" in Denver and you can always finds something new and exciting to check out around the neighborhood. As a former industrial hub, the RiNo Art District is one of the neighborhoods located in Five Points, in Denver, Colorado. During the turn of the last century the area was home to foundries, pattern shops and industrial uses that helped drive the economic success of Denver. As industry moved out of the city's core in the late 80s and 90s, the neighborhood was left with several vacant warehouses and a failing infrastructure. During this time artists began to populate the neighborhood as prices were very affordable and the area was fertile ground for arts, artists and creatives. In 2005, local artists Tracy Weil and Jill Hadley-Hooper joined forces and created the River North Art District with the desire to create a creative community that would connect the artists that made the area their home. "We really just wanted to sell more paintings," says Weil. Starting with 8 members the district quickly grew to 50 members within one year. Ten years later, RiNo bloomed with a community empowered, two new special districts and the desire to usher in a new era for the neighborhood with art as a common thread.